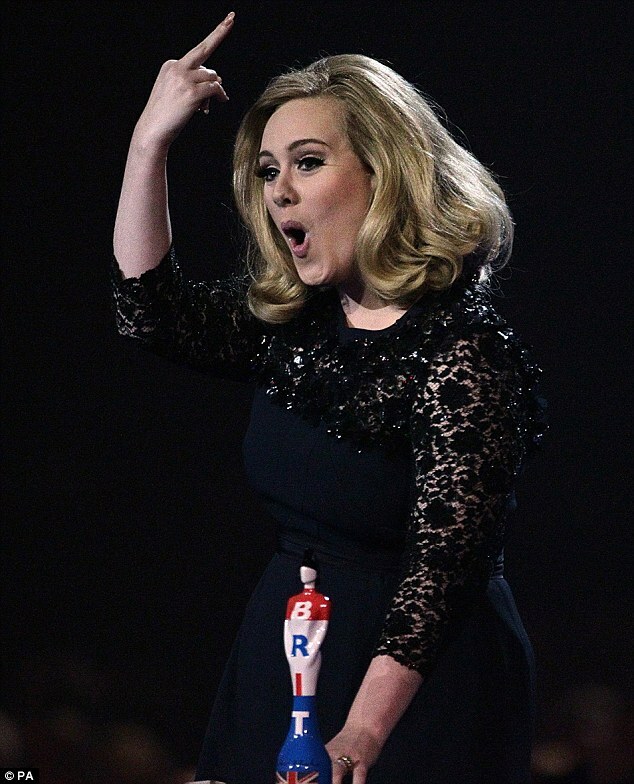 Congrats to Adele for winning two BRIT Awards Tuesday night and boldly flipping the bird, when her acceptance speech was preemptively cut short. It does beg the question though – why did she chose her (nicely manicured) middle finger versus two fingers up, which I’ve always thought was the British way? Maybe she’s been spending too much time on our shores?! Posted on 23, February 2012, in Culture and tagged Adele, Brit Awards, flipping off, flipping the bird, two fingers up. Bookmark the permalink. Leave a comment.